Gilbert was born in London to Peter and Miriam Gilbert; all four of his grandparents had been born in Tsarist Russia. Nine months after the outbreak of the Second World War, he was evacuated to Canada as part of the British efforts to safeguard children. Vivid memories of the transatlantic crossing from Liverpool to Quebec sparked his curiosity about the war in later years. After the war he attended Highgate School, and then completed two years of National Service in the Intelligence Corps before going on to study at Magdalen College, Oxford, graduating in 1960 with a first-class BA in modern history. One of his tutors at Oxford was A.J.P. Taylor. After his graduation, Gilbert undertook postgraduate research at St Antony’s College, Oxford. After two years of postgraduate work, Gilbert was approached by Randolph Churchill to assist his work on a biography of his father, Sir Winston Churchill. That same year, 1962, Gilbert was made a Fellow of Merton College, Oxford, and he spent the next few years combining his own research projects in Oxford with being part of Randolph’s research team in Suffolk, working on the first two volumes of the Churchill biography. When Randolph died in 1968, Gilbert was commissioned to take over the task, completing the remaining six main volumes of the biography. In 1995, he retired as a Fellow of Merton College, but was made an Honorary Fellow. In 1999 he was awarded a Doctorate by Oxford University, “for the totality of his published work”. From 2002, he was a Distinguished Fellow of Hillsdale College, Michigan, and between 2006 and 2007 he was a professor in the history department at the University of Western Ontario. In October 2008, he was elected to an Honorary Fellowship at Churchill College. Gilbert was appointed in June 2009 as a member of the British government’s inquiry into the Iraq War (headed by Sir John Chilcot). His appointment to this inquiry was criticised in parliament by William Hague, Clare Short, and George Galloway on the basis of neutrality, Gilbert having written in 2004 that George W. Bush and Tony Blair may in future be esteemed to the same degree as Roosevelt and Churchill. In an article for The Independent on Sunday published in November 2009, Oliver Miles, the former British ambassador to Libya, objected to the presence of Gilbert and Sir Lawrence Freedman on the committee partly because of their Jewish background and Gilbert’s Zionist sympathies. In a later interview, Gilbert saw Miles attack as being motivated by antisemitism. As the Iraq inquiry was to be conducted on Privy Council terms, Gilbert (who was not previously a Privy Counsellor) was appointed to the Council in order to take part in it. Gilbert’s portrayal of Churchill’s supportive attitudes to Jews (in his book Churchill and the Jews) has been criticised, for example by Piers Brendon. Also, Tom Segev writes that, although Gilbert’s book The Story of Israel is written with “encyclopedic clarity,” it suffers by the absence of figures from Arab sources. In 1990, Gilbert was made a Commander of the Order of the British Empire (CBE). In 1995, he was awarded a Knighthood “for services to British history and international relations”. In 1963, he married Helen Constance Robinson, with whom he had a daughter. He had two sons with his second wife, Susan Sacher, whom he married in 1974. From 2005, he was married to the Holocaust historian Esther Gilbert, née Goldberg. 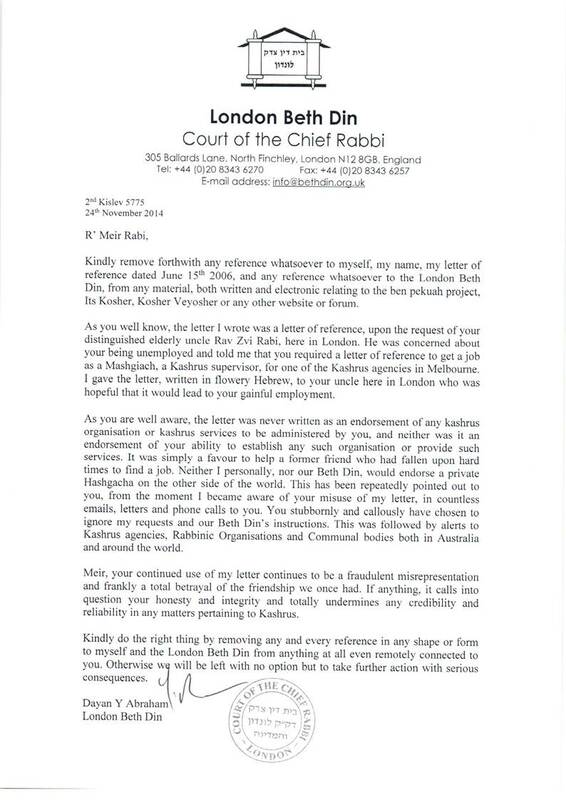 Gilbert described himself [sic]as a proud practising Jew and a Zionist. One Friday evening, I found myself sitting on the roof of the old Chabad House in Bombay prior to 2008. I wasn’t in a talkative mood, being really tired, and wanting to get back to the Taj Mahal Hotel to sleep. I was very tired from travelling the depth and breadth of India, being in an airplane each night, interviewing students in a different city from morning until evening, then travelling to the next city either late evening or very early morning. There is a formula used in most Chabad Houses. This one was no different. There were about 20-30 of us on the roof, in stifling humidity. We were asked by Rav Gavriel Holtzberg הי’’ד to introduce ourselves and then either tell a story, sing a song, or say a Dvar Torah. I was used to it, and always chose the Dvar Torah. The person opposite me declined to say anything other than what his name was. I distinctly recall him saying “My name is Mordechai, and I come from England”. Mordechai had a thick English accent and persisted in making conversation with me, even though I must have looked disinterested and tired. Eventually after talking about various topics he told me that he was Martin Gilbert. Startled, I then introduced myself. Turning to him I said “you are not Sir Martin Gilbert, are you?” to which he answered, “I’m afraid so”. For the next hour I found myself in private conversation with Sir Martin and his wife Esther (nee) Sacher. She was writing a set of books that served to record stories of Holocaust survivors. She described how she visited holocaust survivors and was writing volumes of their history based on their testimony. I do not know where she is up to, but I will send her a condolence message. I asked Sir Martin what brought him to a Chabad House on a Friday evening in Mumbai, of all places. He mentioned that when he was in China he had also visited a Chabad House, and liked the informal and friendly atmosphere. He commented that unlike China, where he felt he was being watched by the authorities at every turn, Mumbai was gloriously emancipated. Neither of us was to expect that we might have been watched watched by the Pakistani terrorists who eventually gunned down Rav Gavriel, Rivki and those who were in the newer Nariman house, Chabad house. I asked Sir Martin what brought him to India. Sir Martin related that he had travelled through India as a young student and became very ill. His mother advised him that if he was ever to become ill, that he must visit an “Auntie Fori”. Auntie Fori’s husband, Mr B.K. Nehru was a famous and distinguished civil servant of India, also serving as Ambassador to the US and UK. He was a cousin of Prime Minister Nehru. This Auntie Fori had curiously avoided shaking the hand of the German Foreign Minister when she met him, and it transpired that she was in fact a Hungarian Jewess related to Sir Martin’s mother. After months of nursing Sir Martin back to health, Auntie Fori mentioned to Sir Martin that she knew nothing of her Jewish heritage but something told her not to touch the German Foreign Minister’s hand. Before he left, she begged Sir Martin to give her a history lesson about the Jews. He responded that he would write a series of letters to this effect, from England. These letters were later published as a book entitled Letters to Auntie Fori: the 5,000 Year History of the Jewish People and their faith. I mentioned that I’d love to read the book and Sir Martin promised to send me a signed copy. It’s somewhere in the house or someone has borrowed it. I spoke to his wife Susan who told me that she came from Stoliner Chassidim. In return, I promised to send the music to some famous Stoliner Nigunim. Sir Martin and Susan left before everyone. I had surreptitiously revealed Sir Martin’s identity to Reb Gavriel during the meal, but he and Rivki were otherwise involved. Their focus was usually on the younger Israeli tourists. I know that if they had realised who he was, there would have been some fanfare, but I realised that Sir Martin preferred to be incognito, and I didn’t have the right to disclose his true identity. After they left, I disclosed to Reb Gavriel who his guest was, and being a Yeshivah Bochur from Israel and then 770, he hadn’t heard of him. He believed me, of course, and for a number of years, Reb Gavriel would ask me to “tell the story about Sir Martin” to his guests. He was always proud of his visitors. Everything is Hashgocho Protis. I wondered why I had met Sir Martin. I discovered this later. I received a phone call in Melbourne from an anguished Israeli mother who mentioned that her daughter was in prison in India awaiting a trial for alleged drug possession and asked me to do what I could to put pressure to facilitate her freedom. Indian prisons are not fun, and it can take two years or more until a trial is held. She was apparently pregnant, and they had one bucket of (horrid) water to share for drinking and washing amongst the female inmates in a cell. I knew a consul general in Melbourne representing India, as I had admitted his daughter to our course. That was one avenue. It then dawned on me that perhaps this was a reason I had met Sir Martin. I knew he was far better connected than me! I sent him an email and described the situation and asked for his advice and help. I noted that perhaps this was the reason he and I had met that Friday night, and so it was now incumbent on both of us to get this girl out of the hell hole before she died prior to her ttrial. Sir Martin responded immediately and gave me the name of an international lawyer in Jerusalem who would work on the case at no cost. She told me that the system in India was riddled with corruption and delay and she didn’t know whether she could be effective but would try. I couldn’t write this in email, so I rang Rav Gavriel and in Yiddish told him what I was trying to do. On a subsequent visit, I asked Rav Gavriel how the girl was doing. He told me with a glimmer in his eye, that she was in Israel. Incredulously, I asked how that happened. He took me aside and whispered a few things. Apparently, since she had escaped from prison, the Indian police had stalked the Chabad house daily, until one day Rivki הי’’ד came out with a broom, and told the plain clothes police officer that the girl was not in their house and they had no information to relay, and if he didn’t disappear she would use the broom on him. With a smile, Rav Gavriel told me they didn’t come back. I would describe Sir Martin as someone who towards the last 10-15 years of his life moved more and more towards traditional Judaism. I emailed him (in code) that the girl was now safe. Alas, he is is now with Rivki and Reb Gavriel in a higher plane.